It is that time of year again when one of the most exciting and most informative events will take place in beautiful SW Florida. 1st Mate Vicki and I always look forward to this 4 day extravaganza to visit and meet clients and future clients of Fish Face Charters. 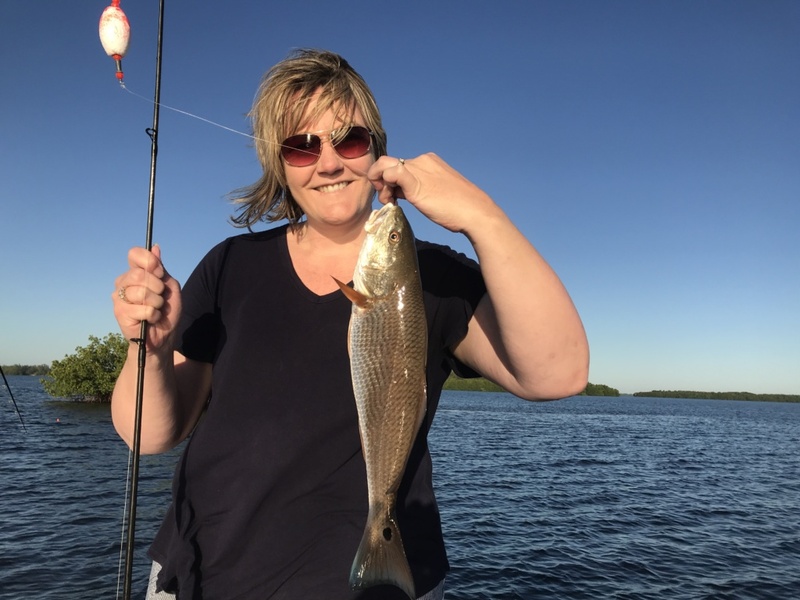 Visitors and locals alike will once again enjoy a season of boating and fishing, with products available for purchase at the event. I will be on hand at our booth along with Coastal Angler Franchisee’s of The Year, Phil and Nadeen Welch, to answer questions on boating and fishing products, including fishing charter opportunities. Myself and other Captains will be doing daily seminars at Fishing Frank’s Fishing Village. Check the times for seminars in the brochure you receive at the gate. Fishing has picked up and is good again. 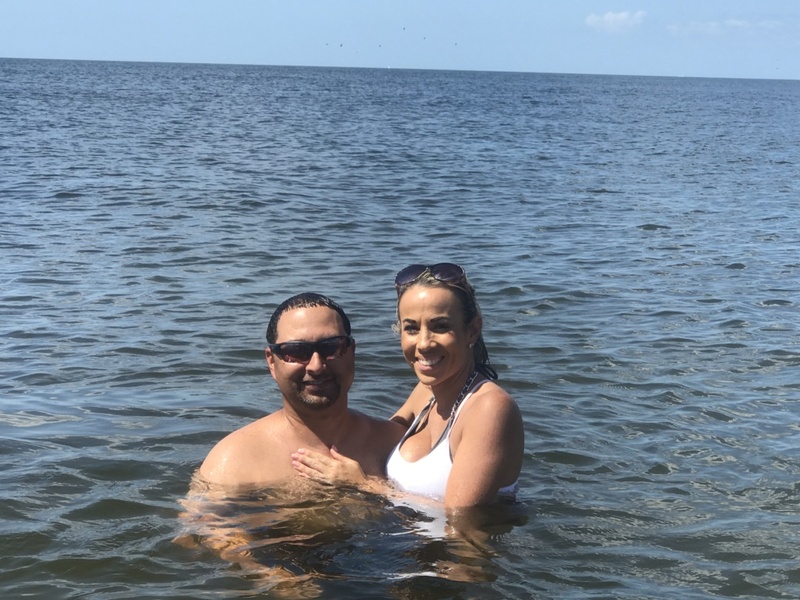 Pictured here are regular clients, the Ron Defreitas family of Alva, Florida taking time out from fishing to enjoy the warm, clear gulf waters of Cayo Costa. 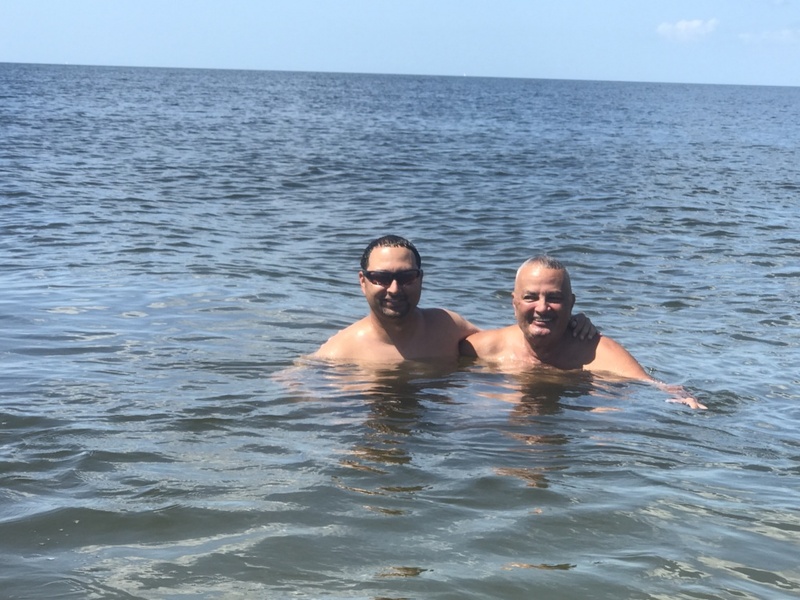 Ron Jr. and his father, Ron Sr., are pictured cooling off after catching lots of fish earlier in the day. Ron Jr. and his lovely wife, Lucinda are also pictured cooling off. 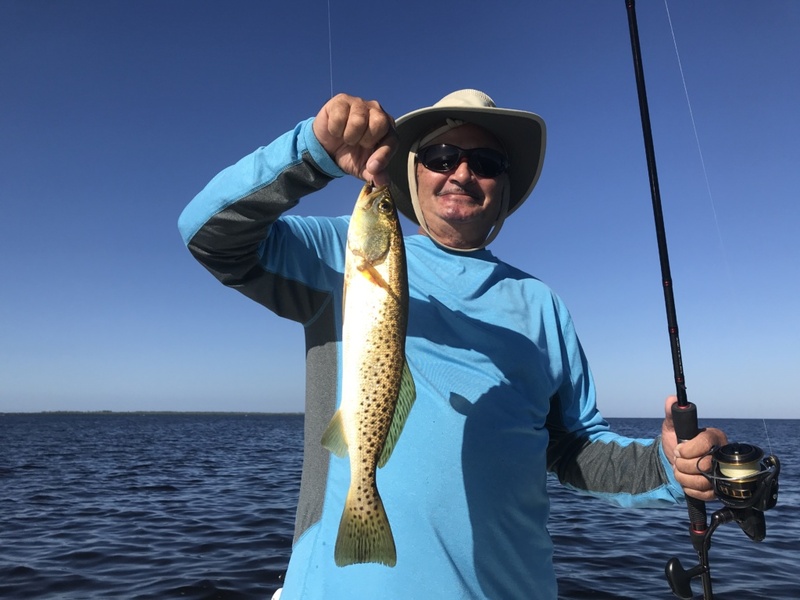 Cousin Paul is pictured with a 21”, fork to tail, Permit he landed while fishing in Charlotte Harbor before a lunch break at Cabbage Key. 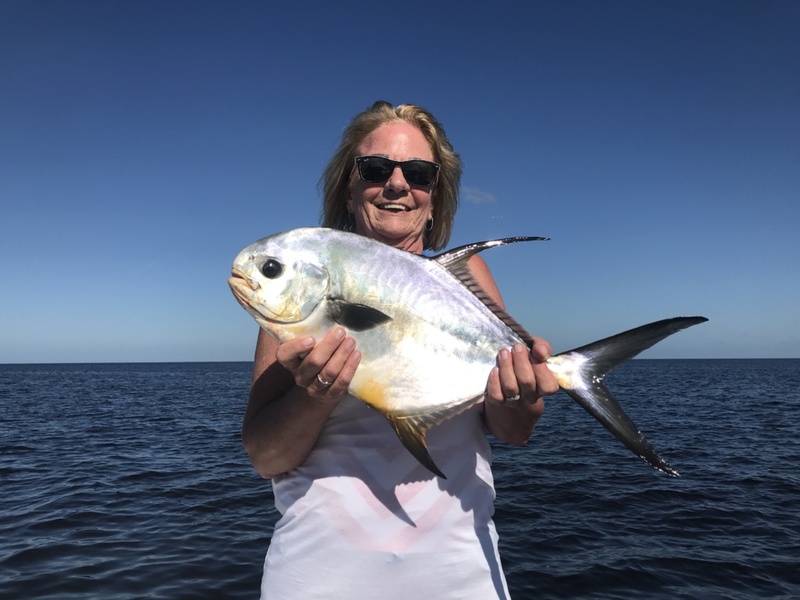 Not to be outdone, Debbie of New Jersey proudly displays the twin to Paul’s fish! Debbie is a friend of the family. 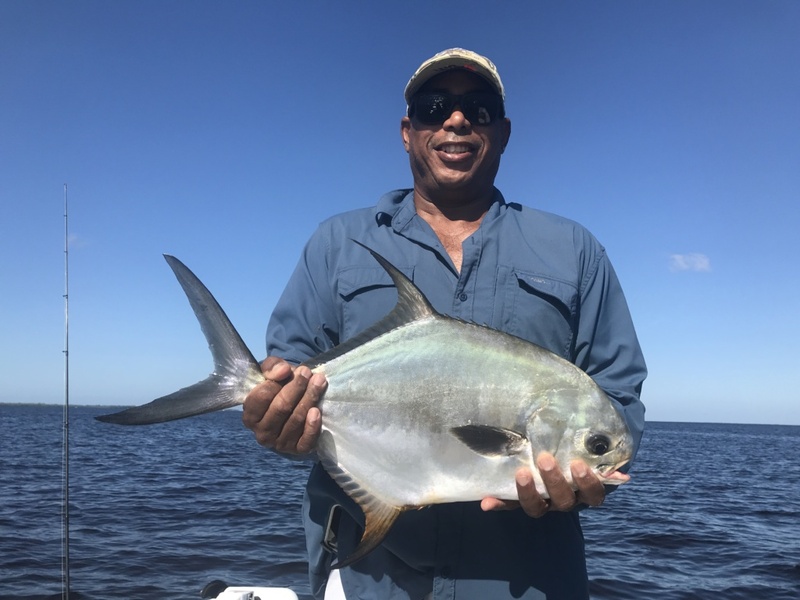 As always, Lucinda steals the show with a nice Pompano while Ron Sr. poses with his big Seatrout. This family has roots on the Island of Tortuga, B. W. I. and enjoyed the fish curry style to their island delight, after a fabulous day on the water. It is always a pleasure to spend time with Ron, Lucinda and family. 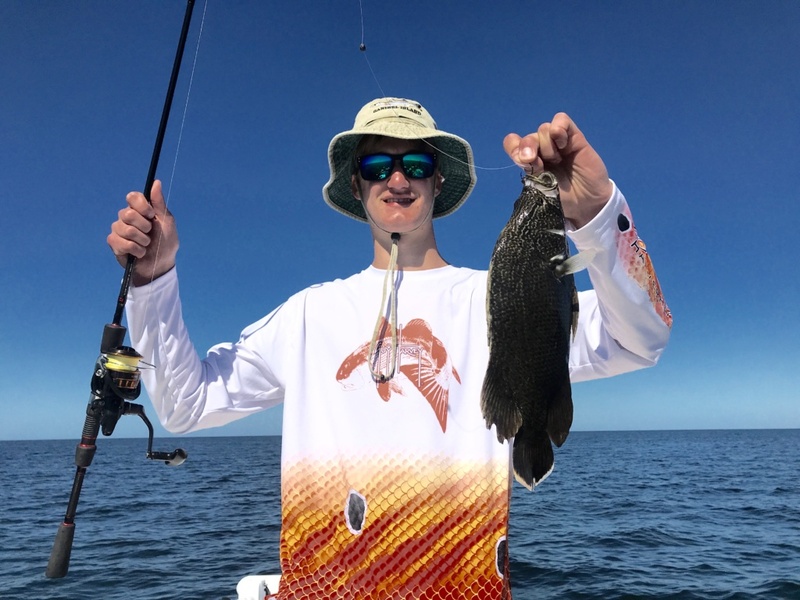 More recently, I had the pleasure of taking the Jim McMeen Family of Broken Bow, Nebraska out to catch Redfish and Tripletail. Jim, wife Stacie and 16yr. old Morgan are pictured with their Redfish. 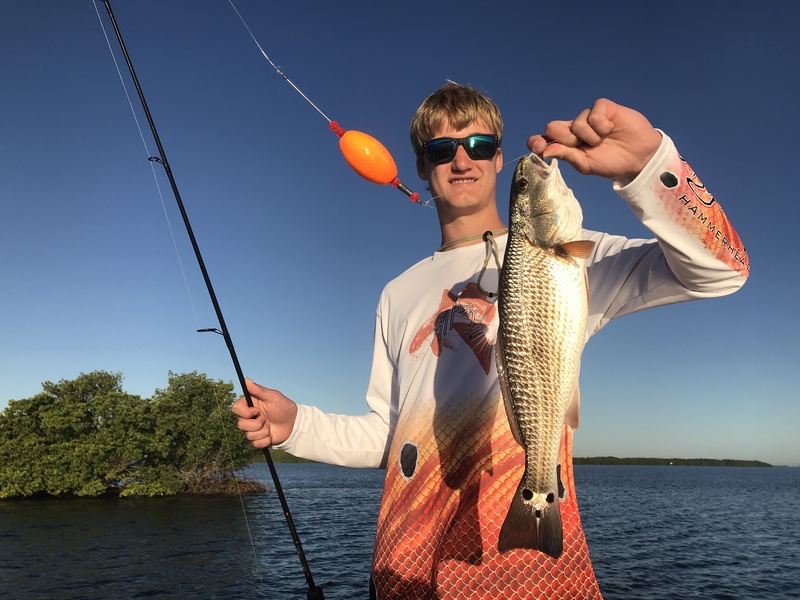 All three were caught on a high outgoing tide around the mouth of the Caloosahatchee River prior to chasing Triple Tail offshore. Morgan caught four Triple Tail and is pictured with one. Morgan is as good as I have seen casting spinning gear at a target. Looking forward to seeing them on their next visit to SW Florida. This is Captain Terry Fisher hoping to see many clients and friends at the Ft. Myers Boat Show November 15-18. 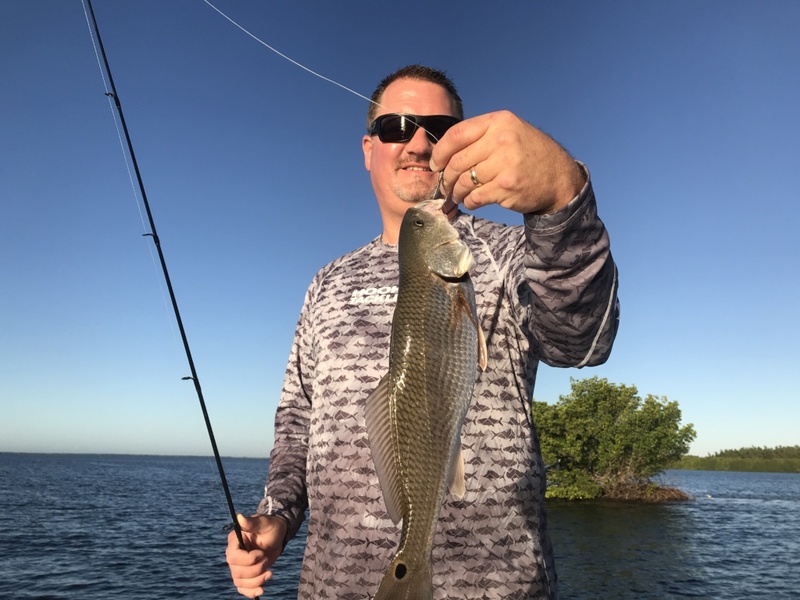 I am available at 239-357-6829 or at fishfacecharters@yahoo.com for any questions or charter requests on either my boat or on yours, as Captain for Hire (by the hour) to assist with safety, navigation, fishing techniques and locations that will insure your every outing is a success.